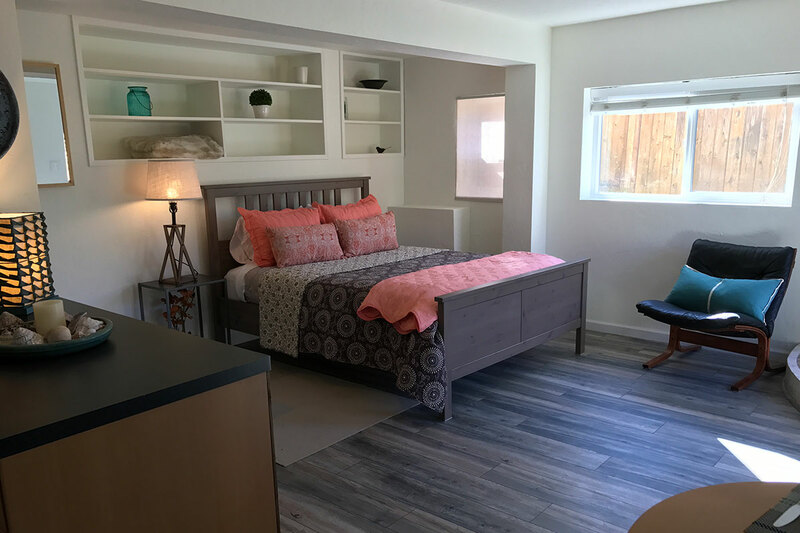 This charming and cozy studio is the perfect landing spot for a single or double occupancy. 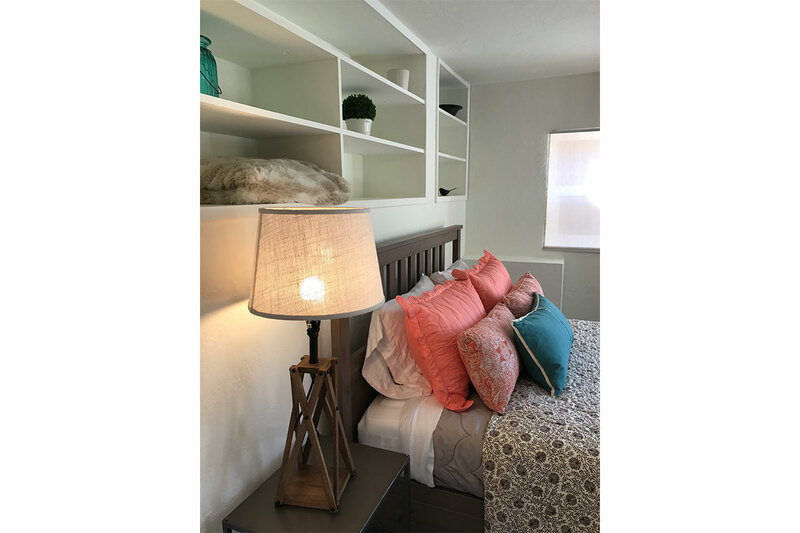 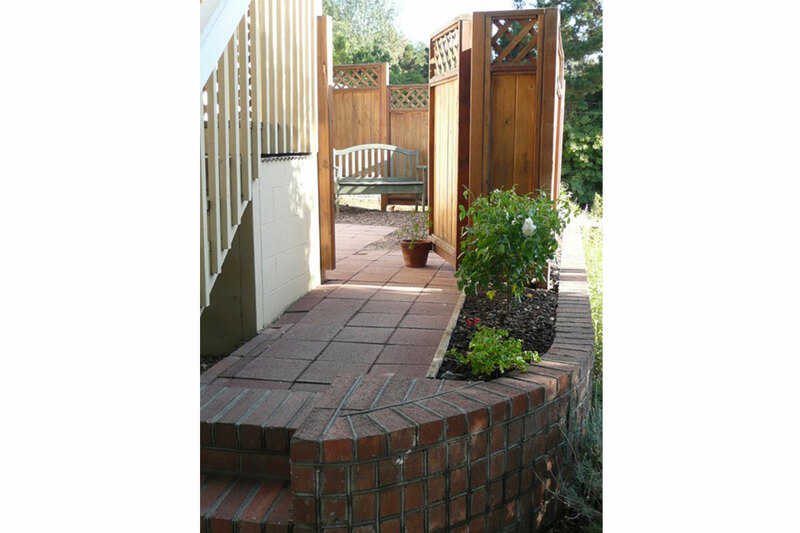 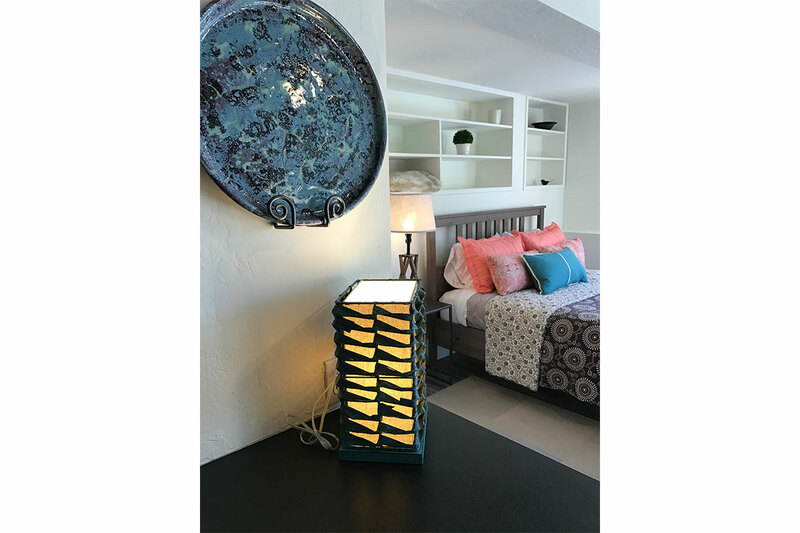 A small gated, sunny and private yard with bistro table is perfect for bird watching, reading, dining with friends or allowing your pet to enjoy the outdoors in a safe environment. 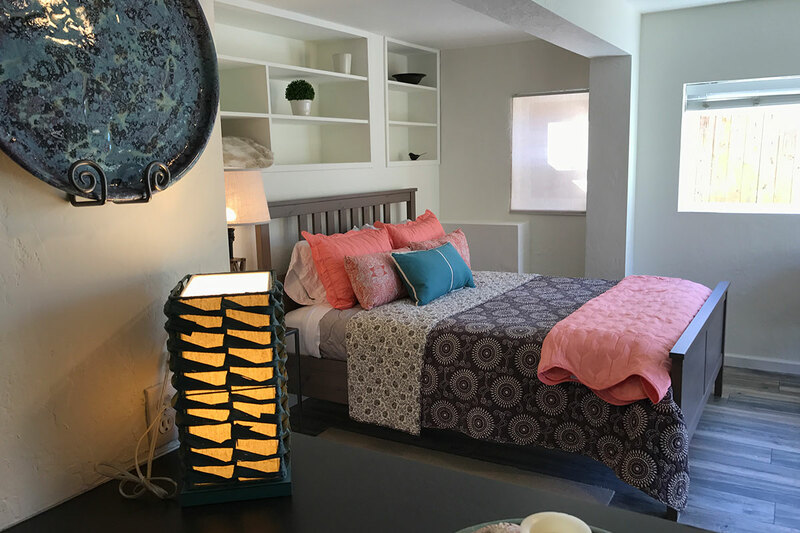 The Queen bed has fine linens and a medium to firm feel. 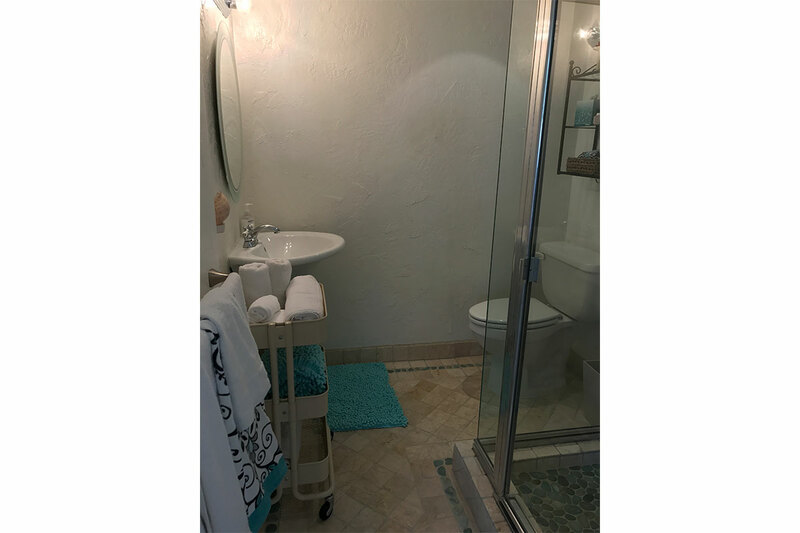 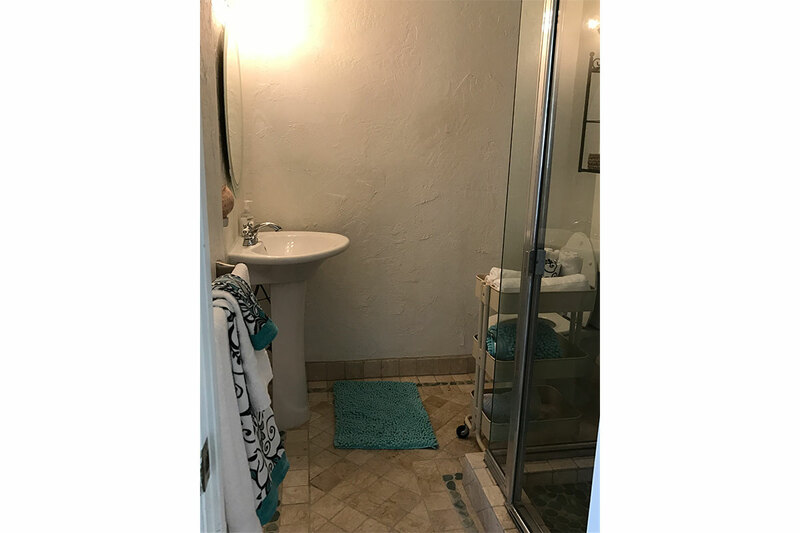 The upscale bathroom with green pebble floor shower and beautiful porcelain tile is ample and updated. 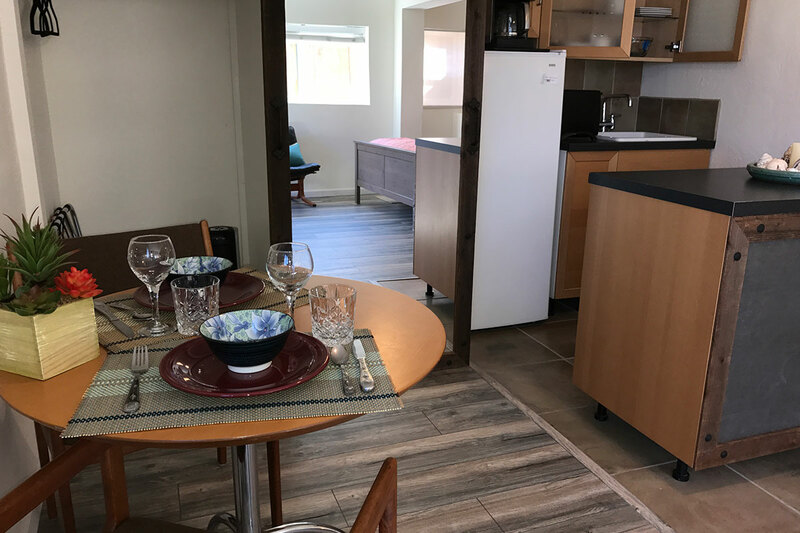 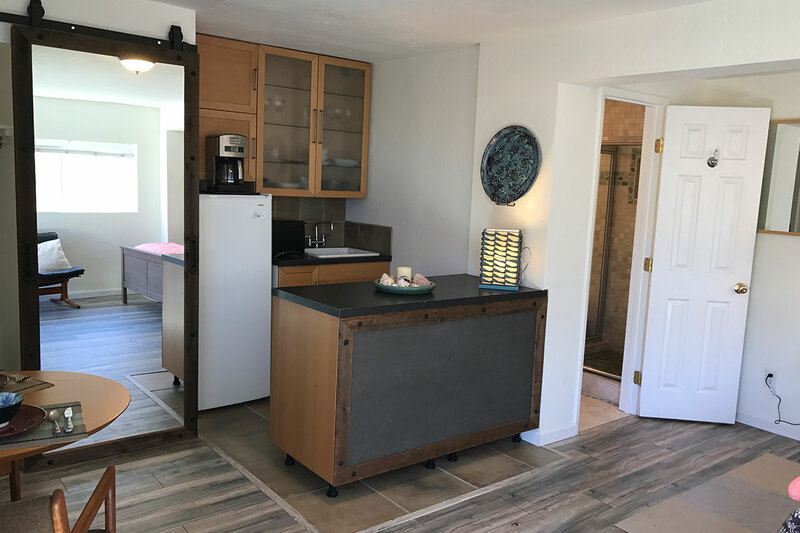 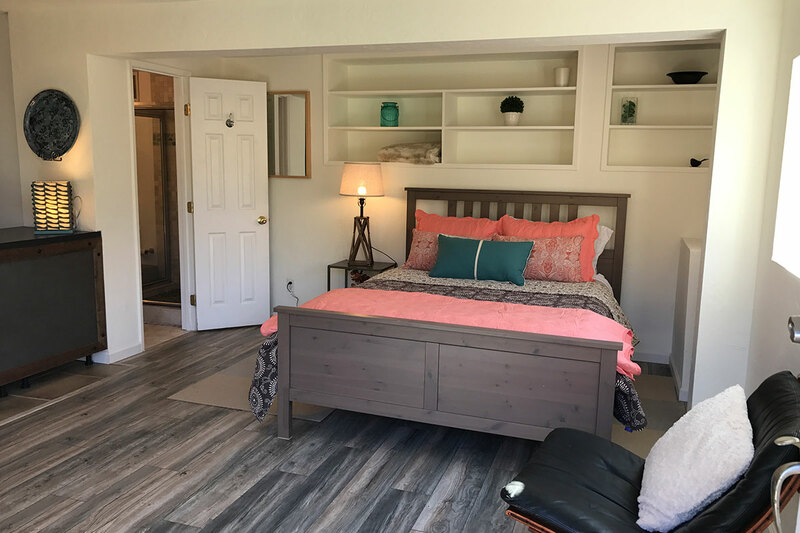 The mini-kitchen comes complete with fridge, microwave, hot plate, plates, cups, serving bowls and more and sits just steps from a dining area for two.